Applications for the Home Energy Assistance Program will be accepted beginning Monday, November 14. Home Heating Assistance available for senior citizens and low- and moderate-income New Yorkers. Applications accepted beginning Monday, November 14. Albany, NY - November 11, 2016 - Governor Andrew M. Cuomo today announced more than $325 million in funding is available to help elderly and low- and moderate-income New Yorkers heat their homes this winter. Applications for the Home Energy Assistance Program will be accepted beginning Monday, November 14. 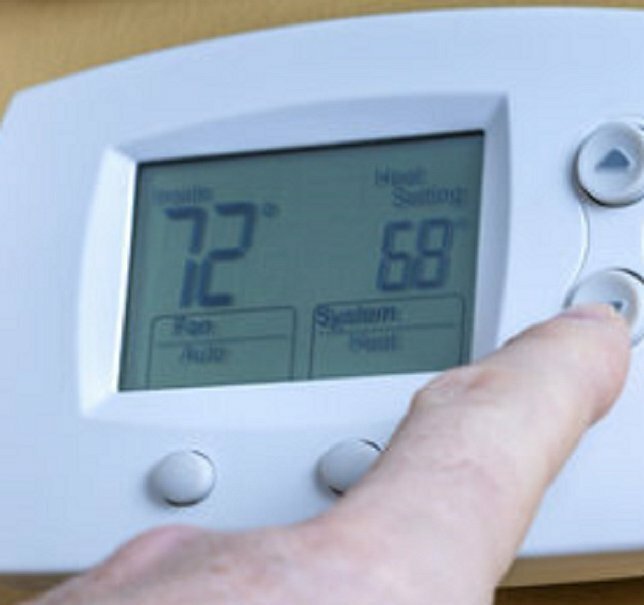 "No one should have to choose between putting food on the table and paying their heating bill," Governor Cuomo said. "This critical program helps seniors and hard-working New Yorkers cover the high cost of heat during the cold winter months. I encourage those who are eligible to apply for this support and to stay warm and stay safe." Eligible households can receive a one-time benefit of up to $626, depending on income, household size and heating source. A family of four can have a household income of up to $53,076 annually, or $4,423 a month, and still qualify for help. Anyone living outside of New York City can apply for a regular Home Energy Assistance benefit online at myBenefits.ny.gov/. New York City residents can download the application here and mail it in. The program is overseen by the New York State Office of Temporary and Disability Assistance, but applications are accepted at local departments of social services. Additionally, households may also qualify for an emergency benefit if they are at risk of getting their heat shut off or running out of fuel. Applications for emergency benefits will be accepted beginning Tuesday, January 3, 2017. Anyone in need of emergency assistance should contact their local department of social services. Office of Temporary and Disability Assistance Commissioner Samuel D. Roberts said, "With higher energy prices forecast for this winter, the assistance provided through this program is vital for some of our most vulnerable residents. I encourage everyone to apply as early as possible as energy assistance benefits are awarded on a first-come, first served basis." Congresswoman Louise Slaughter said, "This federal funding is critical for tens of thousands of families in our region as we prepare for another challenging winter. That's why I've routinely fought to fund this important program. I encourage all eligible Western New Yorkers to apply for this support so they can ensure their homes are heated this winter." Congressman José E. Serrano said, “The winter cold in New York can be brutal and potentially life threating if you don’t have heat at home. The federal funding available through the Home Energy Assistance Programs is critical in communities like the Bronx, where too many families can’t afford to stay warm during the winter season. I encourage all eligible New York residents to take advantage of this opportunity starting November 14." Congressman Brian Higgins said, "Winter weather is around the corner and no one in Western New York should be left in the cold. Federal HEAP funds help to fill the gap for struggling families and seniors on a fixed income." Congresswoman Yvette D. Clarke said, "Last winter was one of the coldest since New York City started documenting temperatures, and I’m happy to know that many New Yorkers will be a lot warmer this year because of Governor Cuomo’s $25 million federally funded program set to provide thousands of elderly and low-income New Yorkers with heating assistance." Congressman Paul Tonko said, "This program has been a great relief to those in our community who are unable to cover their rising utility bills in the winter months. With more than 65,000 households requesting assistance from the Capital Region alone, this program will help more of our most vulnerable friends and neighbors to weather the upcoming winter. I look forward to continuing my work with Governor Cuomo to keep New York’s responsible and extremely critical weatherization programs helping those with limited resources." Congressman Richard Hanna said, "As temperatures drop in upstate New York, we simply cannot allow the most vulnerable citizens to freeze in their homes, especially when so many are still unemployed or on fixed incomes. This federal funding will help New Yorkers be safe and warm inside their homes during the brutally cold winter months." Congressman John Katko said, "The Home Energy Assistance Program is a vital aid to tens of thousands of Central New York families. I'm glad this federal funding is in place to help the elderly, as well as low and moderate-income households deal with the high cost of heating homes during our rough winters." More information about the Home Energy Assistance Program is available here. Subject: LongIsland.com - Your Name sent you Article details of "Governor Cuomo Announces $325 Million Available in Heating Assistance For New Yorkers"